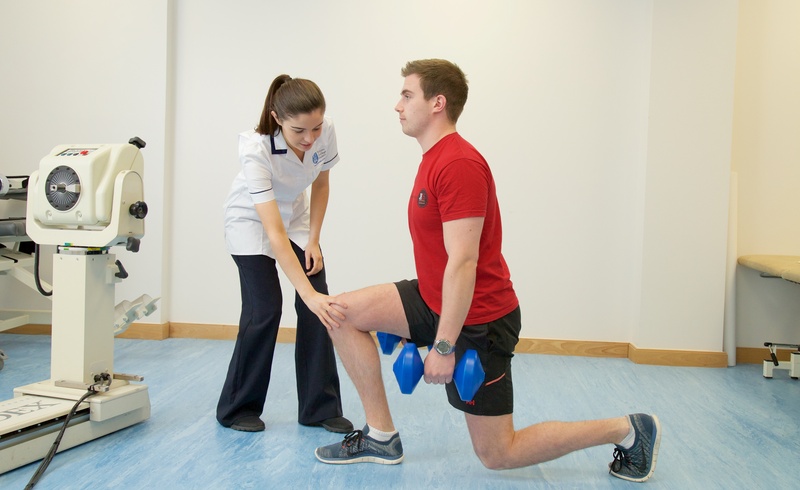 The main focus of undergraduate teaching by staff in the discipline of Physiotherapy is the BSc in Physiotherapy. The BSc in Physiotherapy is a four year honours degree which is accredited by the Irish Society of Chartered Physiotherapists. In the first year the emphasis is on laying a foundation of theoretical knowledge and students study anatomy, physiology, physics and chemistry. In the second year students study physiotherapy theory and practice and clinical sciences in physiotherapy, anatomy and are introduced to clinical practice prior to the first clinical placement at the end of the year. In the third year students are introduced to the study of scientific investigation, psychology in addition to the clinical sciences in physiotherapy and outcome measures. Students undertake three clinical placements in the third year. A number of students undertake one of these placements overseas.In the final year students undertake two research assignments, study a specialised option, and advanced physiotherapy studies as well as undertaking two clinical placements. In the final year there is the option of an Erasmus exchange with the Karolinska Institute in Sweden or Bergen College, Norway for one semester. The undergraduate degree in Physiotherapy in Trinity College Dublin is a 4-year programme, accredited by CORU and the Irish Society of Chartered Physiotherapists (ISCP). 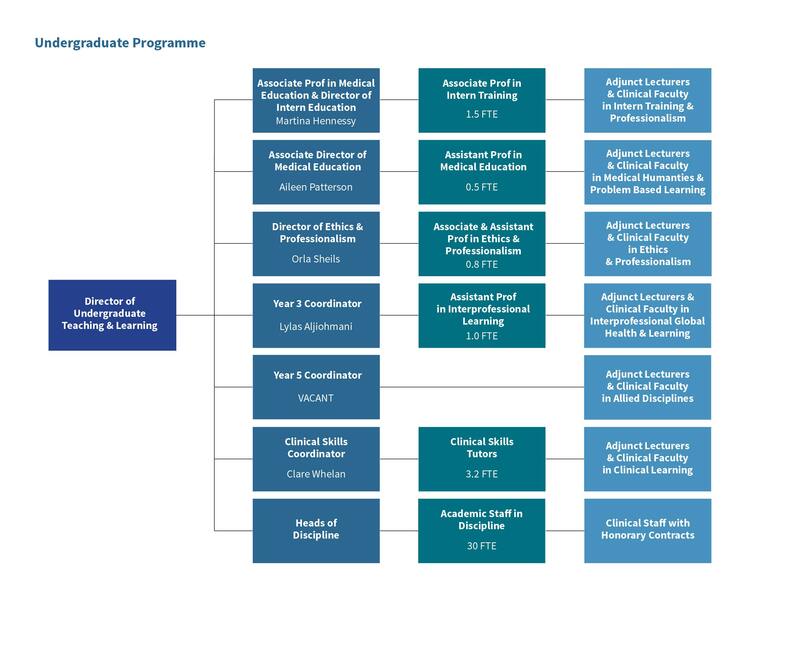 The programme has developed to enable the graduate to operate as an evidence-informed practitioner, combining scientific knowledge with clinical and professional skills. Students cover basic sciences in Year 1 such as Anatomy and Physiology, Physics-biomechanics and Chemistry. These are shared with other health professional’s courses and are taught on the main campus. Students also cover clinical anatomy and physiotherapy skills to integrate basic knowledge with clinical application. Year 2 introduces the student to clinical subjects and includes the core areas of physiotherapy – cardiorespiratory care, neurology and musculoskeletal systems. These are taught at the Trinity Centre for Health Sciences, James’s Campus in large practical rooms. At the end of the 2nd year, students begin their clinical training in hospitals and other sites. Year 3 is evenly split into clinical practice and more specific subjects building on the core subjects in Year 2. These include Scientific Investigation, Paediatrics, Gerontology, Gender health, Oncology, Mental health etc. Clinical practice covers 2 separate placements and there is the possibility of a international placement between year 3 and year 4. 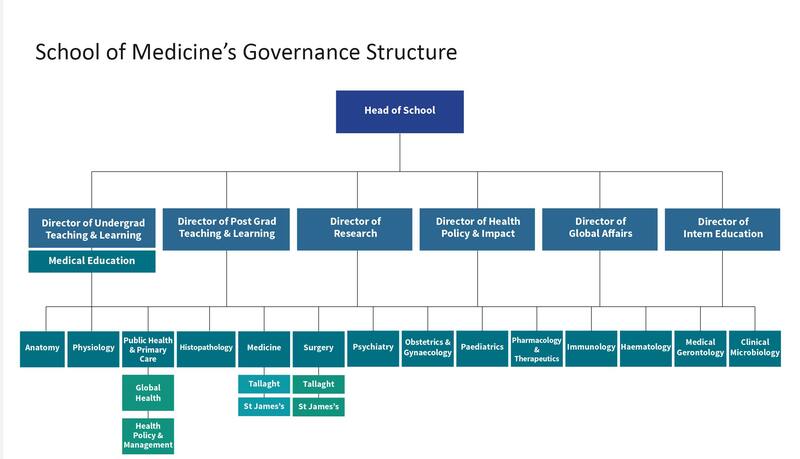 Year 4 is defined by a major research project down as part of a group and specific subjects in Advances in Practice, Sports Medicine and Ergonomics. Clinical practice concludes with two final placements. 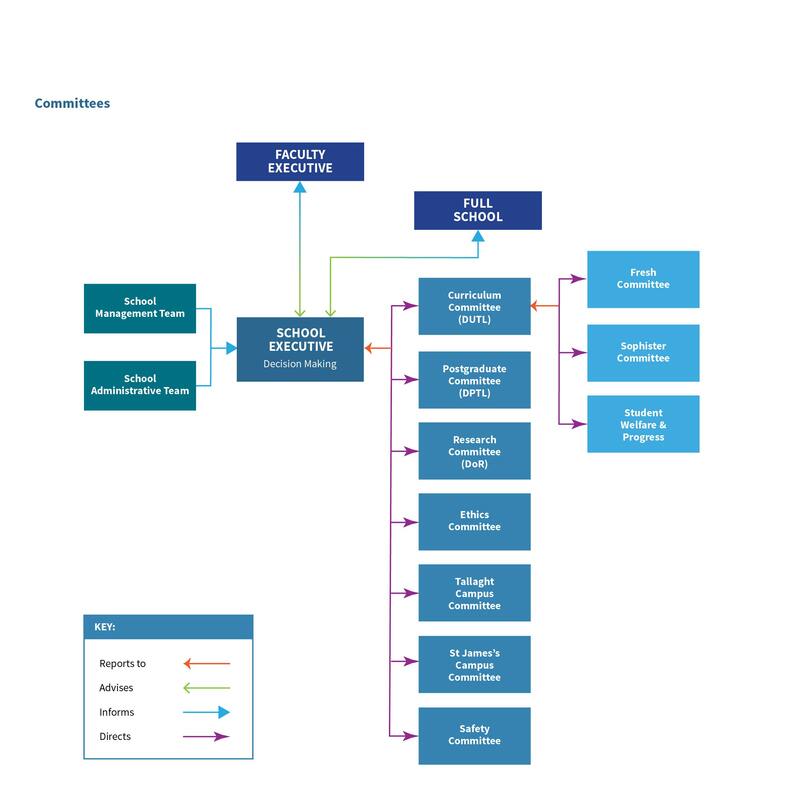 The curriculum incorporates a mixture of teaching styles. It moves from a formal lecture based teaching in the initial years to develop into group work and a more self directed approach which is designed to promote and develop the graduate to become an independent learner. The assessment of the course includes formal examinations, continuous assessment and case study and essays which recognises the variety of learning styles of graduates.